If word is to be believed, then in the near future you could be seen as a walking talking ATM to your fellow Apple users. 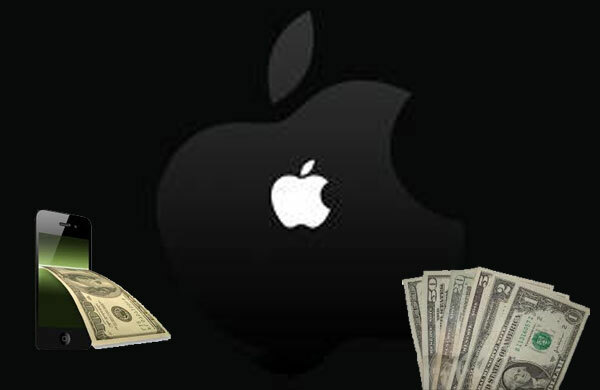 The latest reports from the Apple laboratories are speculating that the research team is working to develop a new application that will enable you to borrow cash whenever and wherever you need it, simply by using your Apple mobile device. The scientists at Apple laboratories have identified a very relevant need and found a uniquely remarkable way of satisfying it. Imagine yourself getting off a cab only to realize that you do not have enough cash to pay the driver. What would you do? Even if there is no ATM nearby, you would not need to worry, thanks to Apple’s ingenious solution. Using the reportedly new application, all you would need to do is to simply load the application and enter the amount of cash you need. The application then sends out a message to all other Apple devices enabled with the application in the proximity. The message would contain information about where you are located at the time and how much cash you need. These are your prospective ATMs. In case any one of these has the enough cash and would like to lend it to you, they would send a signal and their location would appear on your screen marked by a star. This would mean that they are willing to lend you the cash. Undecided people would simply appear as a question mark on the location map on your screen. Similarly, a cross on your screen would simply mean that these people have refused to become your ATM for the present. When you have decided which of your prospective ATMs is willing to dole out the cash, you simply identify their location on the map and go up to them to receive your cash. After you have received the cash, you simply verify the transaction on your iPhone and Apple will charge the amount to your iTunes account. While you would benefit from getting ready access to cash when you need it most, your lender would also benefit in the same way as a bank. Because the lender has been kind enough to lend you cash, your iTunes account will again be debited with a service charge to your lender, as compensation for their parting with their cash. Apple too, would benefit by charging further service charges for acting as the connecting link between you and your walking ATM.